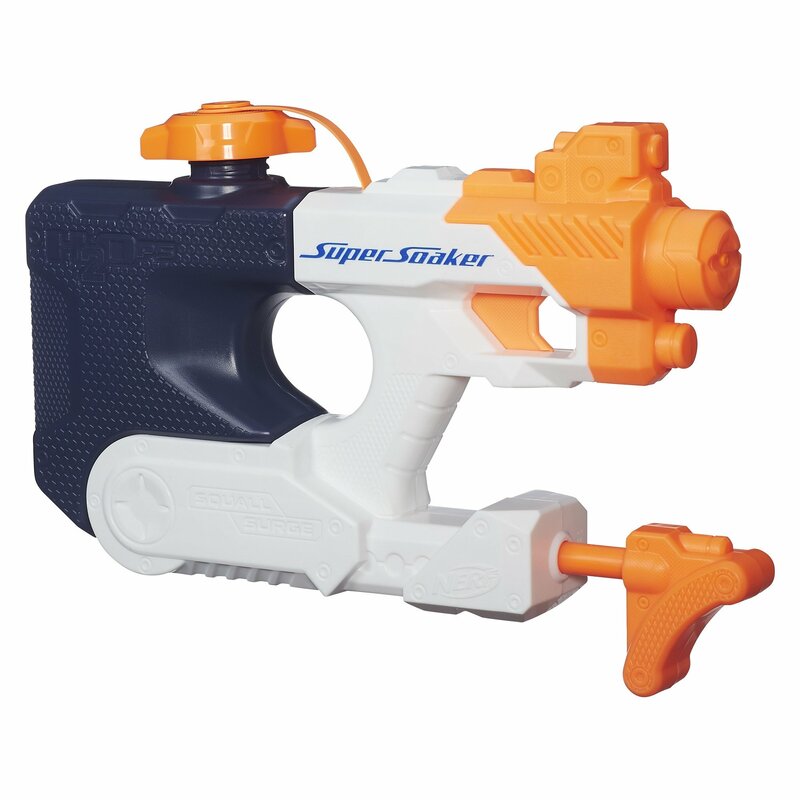 The Super Soaker brand has been the water-blasting brand of choice since 1989.Dive into non-stop soakage with the Squall Surge water blaster! The SquallSurge features pressurized-trigger firing to deliver a surging stream ofwater. Send the water blasting up to 35 ft. (10.6 m). Featuring a tacticaldesign, this water blaster holds up to 16 fl. oz. (473 mL). For innovativewater-blasting fun, nothing soaks like a Super Soaker water blaster! Super Soaker is a trademark of Larami Ltd. Hasbro and all related terms are trademarks of Hasbro.